If you’re trying to lose weight, you know how much of a challenge it can be. Trust me, I’ve been there. I’m not one of those people who can eat whatever I want and stay trim – I have to watch what I eat otherwise I can easily start gaining weight. One of the best ways to lose weight relatively easily is to do some healthy food swaps. Simply swapping out one unhealthy, calorie-laden ingredient for a healthier alternative can really make a huge difference in your daily calorie intake. Below, you’ll find 12 healthy food swaps that will help you lose weight. Almond milk contains no saturated fat, no trans fat, and no cholesterol, the same amount of calcium and vitamin D as cow’s milk, and substantially less calories. One cup of mashed potatoes contains 214 calories, and that’s assuming that the only ingredient is potato. Once you add in milk and butter, the calorie count goes up to 237. Additionally, there is 35 grams of carbohydrates in a single cup of mashed potato. In comparison, there is 142 calories in a cup of mashed cauliflower, and 8.9 grams of carbohydrates. One cup of cooked spaghetti noodles contains 221 calories and 43 grams of carbohydrates. Spaghetti squash, on the other hand, has just 31 calories per cup, 7 grams of carbohydrates, and is packed full of nutrients. One large serving of fast food french fries contains 480 calories, along with a whopping 64 grams of carbohydrates. Additionally, french fries are usually fried in unhealthy oils like hydrogenated soybean oil, canola oil and corn oil. 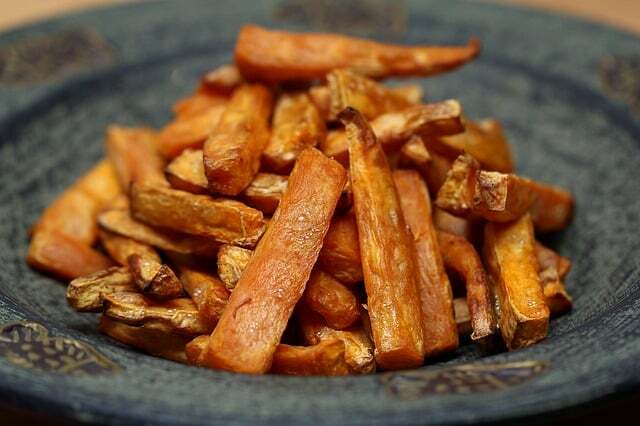 One serving of oven baked sweet potato fries contains approximately 244 calories (for an entire sweet potato) 12 grams of carbohydrates, over 360% of your daily Vitamin A requirement, and none of the unhealthy oils that french fries are cooked in. 1 cup of vanilla ice cream contains 274 calories, and that doesn’t include any toppings that you might add. A healthier, calorie saving alternative to ice cream is to make your own “nice cream” at home. Simply freeze then blend one banana. You can add a small amount of peanut butter or cacao powder to taste. Compared to vanilla ice cream, one banana contains 105 calories, many vitamins and minerals, and none of the refined sugar and artificial ingredients normally found in ice cream. A slice of takeout pepperoni pizza is loaded with calories, saturated fat, sodium and cholesterol. And most of us don’t stop at just one slice. 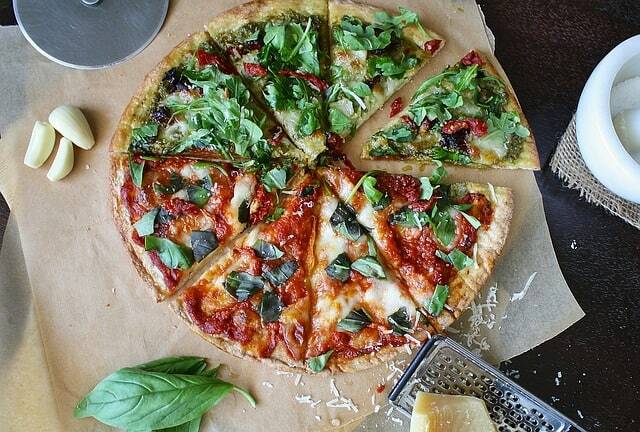 A healthier alternative is to make your own homemade pizzas. Get creative with your toppings – some ideas included baby spinach, shredded chicken, kalamata olives, diced tomato, artichoke hearts, a small amount of feta cheese. While it may seem healthier, white rice has been stripped of it’s nutrients and is considered a refined carbohydrate, just like white bread. One cup of white rice contains 206 calories, 45 grams of carbohydrates, and has very little nutritional value. In comparison, one cup of cauliflower rice contains just 27 calories and is packed with nutrients. Cauliflower rice is incredibly easy to make – here’s a great tutorial by Minimalist Baker. This healthy food switch is probably the most mind-blowing on the list, so be prepared. One cup of canola oil contains a whopping 1927 calories and 17 grams of saturated fat. One cup of applesauce, on the other hand, contains just 166 calories and 0 grams of saturated fat. There are 245 calories in bagel, 48 grams of carbohydrates and little to no nutritional value. Switching your morning bagel out for a slice of wholegrain toast will save you 176 calories and 36 grams of carbohydrates. On average, an 8oz bag of potato chips will set you back around 1217 calories, plus 125% of your recommended daily intake of saturated fat. One bag of air popped popcorn contains just 300 calories, making it a much healthier alternative. 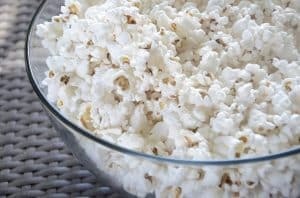 Just make sure you’re careful with the flavorings you add – avoid the buttery flavorings sold at the grocery store and instead, try flavoring your popcorn with some nutritional yeast or a small amount of sea salt. One cup of cola contains 128 calories with 99% of these calories coming from carbohydrates. But the real killer in soda is the sugar content – one small cup contains over 31 grams of sugar. Sparkling water contains 0 calories, and 0 grams of sugar, making it an excellent alternative to soda. As you can see, making some simple healthy food switches can save you a ton of calories, substantially reduce your refined carbohydrate intake and help you cut down on sugar and hydrogenated fat, all of which will help you shed pounds and become a healthier version of yourself!